"The creation of ATL Automotive was based on two things. A profound love of cars and the strong belief that Jamaica deserved better." Formed in 1997 under the title of ATL Motors as the sole distributorship for leading car giant Honda, ATL Automotive immediately set the benchmark for automobile sales and service in Jamaica forging a reputation that has grown exponentially ever since. 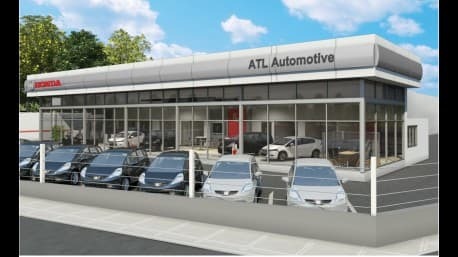 ATL Automotive has strengthened its undisputed position as the country's foremost automotive group and has changed the face of motoring in Jamaica forever. ATL Automotive boasts a 270-strong team of expertly trained specialists headed up by experienced dealer principals, all of whom are dedicated to providing the highest level of sales and service the region has ever seen. The ATL name is synonymous with service, and so at every step of the way service teams at ATL Automotive have extended themselves to develop and maintain creative programs and procedures that ensure a level of expertise and care that the owner of a premium automobile would expect, and more.